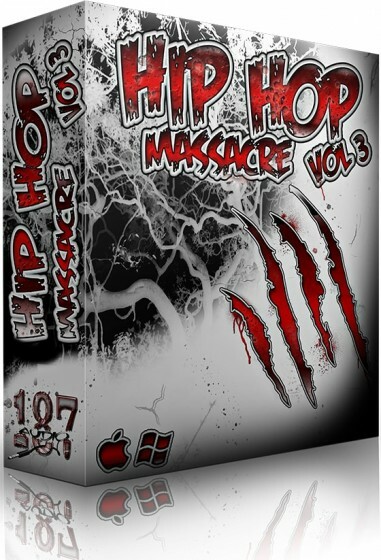 Hip Hop Massacre Vol.3??? is the final kit in this incredible trilogy! Not only did we continue to bring you trunk rattling 808s, but we really focused on providing intricate, fat basslines you hear in neck snapping Hip Hop/Boom Bap Beats. Start with an idea and build off your creativity! Guaranteed to broaden your vision with these industry ready sounds & loops. Includes MIDI and WAV format. All sounds can be used in any DAW including Pro Tools, Reason, Cubase, Studio One, Logic and Image Line? ?�s FL Studio.